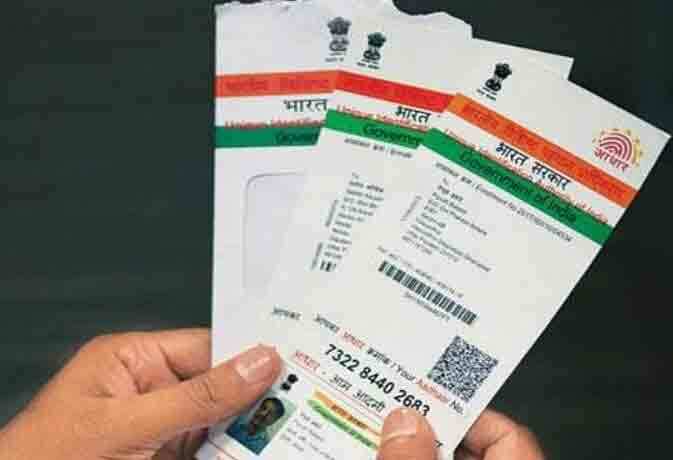 Aadhar Card Is No Longer Required For Bank: 08-12-2018 Today News, Now if the customer wants then they can remove Aadhar card from their bank account forever. The government is going to take a big step even after the verdict comes on the basis of the Supreme Court. In such a situation, the bank can now seek other documents from the KYC for the customers. Prior to the Supreme Court's decision, it was necessary for the customers to link the basis from the bank account. Bankers say that other documents notified by the Reserve Bank of India may have to be deposited in the bank. Notified Documents from RBI - Job Card for Passport, Driving License, Voter Id Card, PAN Card, and National Employment Guarantee Scheme. The RBI did notify these documents in July 2017. In the form of documents required to open a bank account, these papers were actually made necessary for the purpose of banning black money. Valid documents before July 2017's notifications will still be valid. According to the demand of the bank or finance company, in the case of any other document the bank used to ensure the identity of the customers according to their own ration card, electricity bill or letter of the employer. After July 2017, the basis was not legally required for the bank account, but the bank preferred the Aadhar compared to other documents for the KYC document. Banks now want to understand the status of the customers whose Aadhar is linked to the bank account. Prior to the Supreme Court's decision, it was necessary for the customers to link the basis from the bank account. Now after the order of the Supreme Court it has become voluntary. Customers can also delink their Aadhar from the bank.